Vom 13.01.2017 bis zum 14.01.2017 wurden 32 Knowledgebase Artikel veröffentlicht. In the /var/log/vmkernel.log file, you see entries similar to: FSDisk: 260: Issue of delete blocks failed [sync:0] numDescs 1 Address is not aligned on required boundary0x439dc0c5cb40 hostd process gets crashed. Note: The preceding log excerpts are only examples. Date, time, and environmental variables may vary depending on your environment. You can revert to a previous version or build of ESXi using the Direct Console User Interface (DCUI). This article provides steps to launch, collect, and display vSAN Observer performance charts and information for VMware vSAN.vSAN Observer is a monitoring and troubleshooting tool for Virtual SAN. It is designed to: Monitor performance statistics for a vSAN Cluster Provide access through a web browser Capture the statistics for customer use or for VMware For more information, see the Getting started with the vSAN Observer section in the Diagnostics and Troubleshooting Reference Manual. Random packet drops when traffic goes through a bridge Distributed Logical Router (DLR). The ping command displays numerous Request timed out messages.Note: For additional symptoms and log entries, see the Additional Information section. The purpose of this article is to explain the requirements and functionality of the proactive vSAN performance test. This article provides information about changing Maximum Transmission Unit (MTU) settings to support jumbo frames with logical switches on VMware NSX for vSphere 6.x and VMware vCloud Networking and Security (VCNS) 5.x. The backup jobs are not migrated in vSphere Data Protection. However, the migration operation completes successfully without any errors or warnings. OSPF neighbor adjacency goes down after an undefined period of time (varies between minutes up to hour).Note: For additional symptoms and log entries, see the Additional Information section. 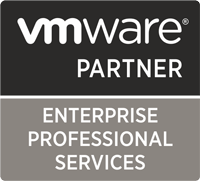 This article provides steps to look up an Entitlement Account in My VMware portal. You experience these symptoms if multiple keyboards are connected to ESXi host and choose other keyboard layout than US Default:Only first Keyboard is detected with the chosen layout.Other keyboards use US Default. Syncing desktops and applications (Horizon/View and/or Citrix) show successful in admin portal.New items do not show in user portal and are not reflected in the database. Multiple errors appears in VMware vRealize Automation logs. VMware vRealize Automation agents report the following errors repeatedly in their logs: The virtual machine <VM Name>’s NIC (number) as an unused custom property – [external_address, ]! Example: The virtual machine VM0001’s NIC (0) as an unused custom property – [external_address, ]!